Redesigned for a more premium look, the 2019 Volkswagen Jetta is sportier and sleeker with just the right amount of features. Match the lighting to your mood with the available 10-color interior ambient lighting, and pump up your drive with the optional BeatsAudio™ system. Available ventilated leather seating surfaces and heated front seats keep you comfortable all year round, while the optional Driver Assistance package gives you more confidence on every drive. 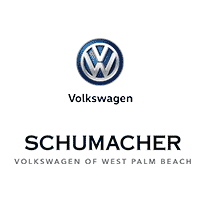 Test drive the all-new Jetta in West Palm Beach, Florida.